We love custom packaging because it gives branders the opportunity to represent their product or service exactly how they want to. They can print their mission statement, color scheme, and logo and smack it right on their box or binder to make it consistent with other marketing efforts. That brings me to the subject at hand: logos. A company logo does more than you may think- but there are some things that you shouldn’t depend on your logo for either. A logo isn’t sufficient enough to really describe your business. For instance, the Chanel logo isn’t what sells clothes, it is merely associated with high-end fashion. The shopper needs to look into specific items and pricing in order to for Chanel to sell. What a logo really does is embody the qualities of the organization it represents. Whether a dedicated patron or someone who avoids the brand, well-known logos instill an emotion in the consumer whether it is positive or negative. A great logo won’t make your brand successful. A memorable logo or other signage is great for starting a following, but the follow-through makes it or breaks it. The brand can’t live on a design alone, and if execution is unsuccessful the logo will be associated with those poor business practices. In summation- logos are awesome. Use yours and use it wisely. However, it is important to remember not to rely solely on a cool logo design– a brand or logo is only as good as the company it represents. 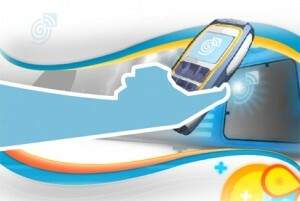 Near field communication (NFC) has offered a new marketing tool unlike any that have come before it. The NFC is a set of standards for devices, like smartphones, to establish radio communication with each other by touching them together or bringing them close together. This allows for the exchange and duplication of data, but it also offers a great tool for commerce. NFC devices can be used in contactless payment systems allowing for mobile payment to replace or supplement other payment systems currently used in credit cards and electronic ticket cards. Most recently, Kraft Foods has piloted an NFC trial at grocery stores that show high engagement levels (compared to QR codes). For this trial, RFID chips that are readable by NFC-enabled devices were placed in signs on the shelves in front of certain products. This allowed consumers to tap their smartphones and gain access to recipe content, download the Food Assistant app or share information on Facebook. The benefits of this technology compared to others is that this is a frictionless technology. Users don’t have to download an app if they don’t want to. Like we saw in the tips for a great point of purchase display, this technology has an immediate call to action that calls for a simple tap with your phone. Results of the trial showed that the overall ‘tap’ engagement level was 12 times higher than for the QR codes that accompanied the RFID chips. Also, more than 36% of shoppers that took advantage of this marketing tool converted it into an action- like saving a recipe or downloading the Kraft app. In-store marketing has only 5-10 seconds to grab the consumer’s attention, however when NFC was involved the consumer spent up to 48 seconds engaged increasing that chance of purchase ten-fold. A new study from the Content Marketing Institute shows that content marketing is now becoming a key element in business to business (B2B) marketing. This organization is the leading global content marketing education and training organization. The Content Marketing Institute teaches enterprise brands how to attract and retain customers through a variety of marketing channels. They found that regardless of the company size, 9 out of 10 business organizations now market with content. B2B organizations are using an average of 12 common tactics, the most popular being; social media, articles on their website, eNewsletters, and blogs. What has changed in this year is the more frequent use of social media. The use of social media for these organizations has and continues to grow with 87% of B2B marketers using social media to distribute business content- this has increased 13% from the previous year with the most popular social media channels being LinkedIn, Facebook, and Twitter. Why Should Small Businesses Use Social Media Outlets? 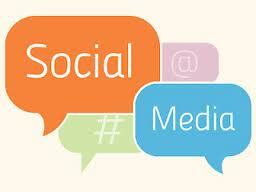 Small businesses do not necessarily benefit profit wise from social media outlets. Social media means so much more than bringing in sales. Sometimes it is hard for companies to see the importance of social media outlets because it does not generate any revenue. Social media outlets are a personal connection that enhances your company’s credibility. There are a number of things that your social media activity says about your company. It shows you are creditable, loyal, trusting, and caring. These outlets provide the opportunity to connect with customers and develop a relationship. Everyone knows that in business relationships are the most important aspect. So should small businesses cut out social media? No way. Social media marketing can be tricky at times. Small businesses are a category that especially struggles with social media marketing. When looking to develop a marketing strategy, there are five steps to help with the process. Step one is to invest in a real website. Having a real website just for your business builds brand recognition. This also helps engage potential customers and help build SEO for search engines. Step two is to know your keywords. Knowing your keywords and what people will search for when looking for your kind of business is very important. This also helps you build your website so your SEO keywords are optimized. Step three is to listen. Listening to where your customers are at in the social media world will really help you save time. Being where your customers are allows for higher optimization. If your customers are scattered out, pick two to three that are most relevant. Step four is to start blogging. This allows you to share your expertise, techniques, and success stories. Using keywords in your blogs also helps when people are browsing. Step five is to share helpful content. Being seen as a resource is one of the best techniques for social media. Share everything you know, even information of another company in your industry. This shows that you are trustworthy and will help you build friendships. Google+ Pages, similar to the old fashioned Yellow Pages, allows businesses to connect with customers on a interactive level. While many businesses manage a number of social media outlets, why should they add Google+ Pages to the list? The biggest reason businesses use Google+ Pages is because of the connections it provides. Each month, over 1 billion people use Google’s search engine. Google+ Pages show up in search results. “Direct Connect” allows users to type a “+” in front of the company’s name and they will be directly connected to the company’s Google+ Page. People who have a personal Google+ account can “+1” your company and be able to read every post and also talk with your employees face-to-face. All these connections result in better social search rankings. Sales is another connection that Google+ excels at. When someone +1 your page it opens up a lot of opportunities. This direct action allows you to have a direct response. 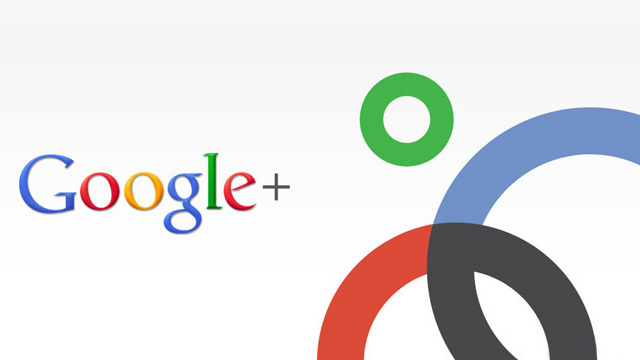 The features Google+ has also is a big enough reason for a business to jump on the bandwagon. “Hangouts” allows your team to work on shared files in Google Docs from remote locations. These “hangouts” can also be used for communication of ideas and notes. Your suggestions within these discussions can also be commented on by your customers. Google+ Pages are a great way to build SEO, connect with your customers, and provides features to help enhance your business team. When deciding whether Facebook or Twitter is a better option for your small business do not go looking for answers from other companies, look at your company. The first thing you should take into consideration is who is your target audience. Comparing the environments of Facebook and Twitter and where your target audience is spending its time is how you will decide how much time to engage in what social media outlet. When you look at the environment of Facebook and Twitter they are very different, yet allowing people to do basically the same thing, communicate. Both enabling people to share information, build relationships, and engage in discussions. By doing your research, you are able to find out where your audience spends time online. 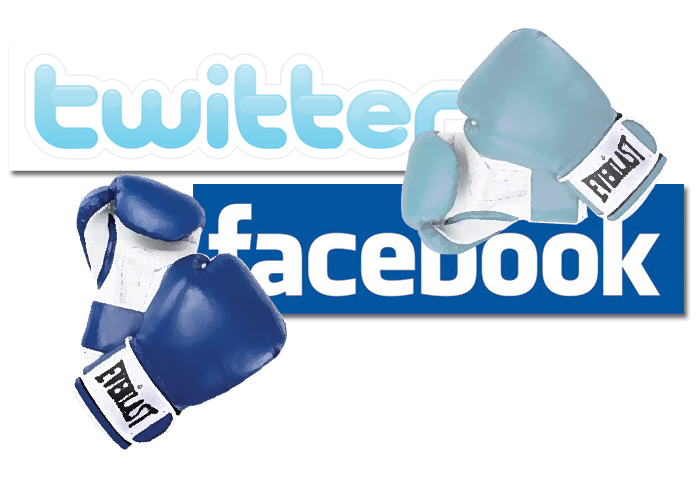 Are your customers on Facebook or Twitter? 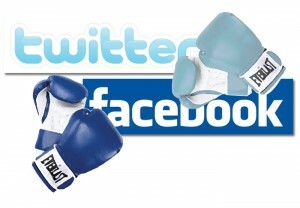 What social media sites are your competitors on? Facebook is like a newspaper. Twitter is more like the highlights of the stories so you do not have to read the whole thing. Understanding the needs, wants, and expectations of your target audience is the next step. Facebook is a place to build relationships with customers and Twitter allows you to share quick tidbits with them. So when deciding what social media outlet best fits your small business needs, it is a tough decision. Look within your company and what your target audience wants. Then go from there. Who Should Manage Your Businesses Social Media? One point that is made in response to Sloane’s article is that over half of all Facebook users are over the age of 25. Social media is said to be all about communicating. With the outlook of only under 25 year olds should be social media managers is sort of like saying anyone over 25 does not know how to communicate. In my perspective, being under the age of 25, I believe it matters who manages your social media depending on what sort of business you are involved in. If you are a company that focuses on a special niche of customers you do not really want some under 25 year old managing your social media. You would want someone who is an expertise and knows what you are looking for. But then again getting a fresh professional in gives the company a new perspective. Social media is all about personality and I do believe that individuals under 25 have an easier time creating personality via social media outlets. This is because they are more opt to knowing trends and other important factors. Overall, it depends on the company itself and what kind of message they are trying to perceive. Pinterest is a new online social media tool to share ideas/pictures/videos with your friends and keep them in a place for you to remember. The best way to describe Pinterest is to relate it to magazines. Back when the internet was not the main source of finding information people use to look at magazines. Pinterest is like taking a ton of bulletin boards and labeling them and cutting out ideas/pictures of things you find from magazines/newspapers so you can put them on your board to remember them. With this online bulletin board you are able to do this with ideas/pictures you find all over the web! How cool! How it works for Individuals? There is one word that many love when the word Pinterest is heard, organization. The capabilities it allows you gives you the chance to organize all your thoughts on one single social media outlet. It pretty much helps you remember and share/get ideas from your friends. How it works for Companies/Businesses? 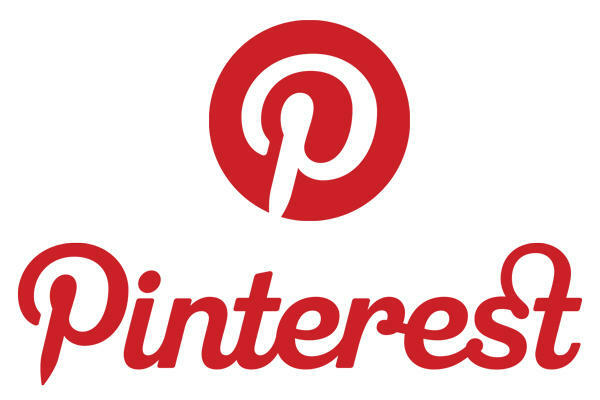 Like any social media tool, Pinterest creates more awareness of your product/business. Pinterest’s value to businesses is the network effect. When a company/business pins something, such as one of their products, the exposure it has depends on the number of times it is re-pinned or liked. Since Pinterest is an online bulletin board re-pinning is common, so therefore your post is likely to reach a large audience, in return exposing your company to individuals who have never heard about you. Overall, Pinterest is helping you create awareness with a network you were not connected to all while helping your company build a personality. Small Businesses are tempting to keep up with the latest craze, social media. There are currently 900 million active Facebook users, 200 million active Twitter users and latest social media tools hitting the market, such as Pinterest. As small businesses start to dive into the social media world, there are a few mistakes they are making. 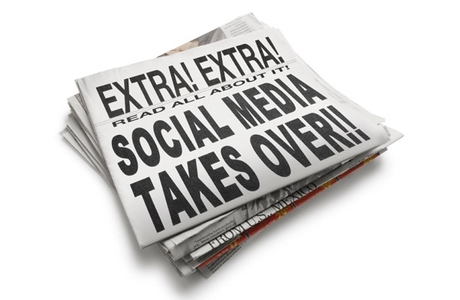 Social media outlets are not the place to hard sell. Simple as that. Marketing budgets for small businesses are typically small, so using a social media site to not sell can be confusing to most. Only 5-10% of your social media activity should be devoted to self-promotional. 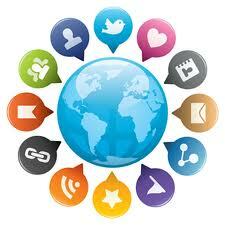 Social media is there to build business relationships and show that you are a company that can be trusted. Social media and marketing are in fact similar, yet should be both used for different purposes. Social media is all about connecting. You cannot connect with someone if all you do is spend time talking about yourself. Engaging in communication with your social media followers is what is important. Showing you care about their opinion and how they feel is what matters. New social media networks appear everyday. It is important for small businesses to realize that they do not need to join every site. Limiting your social media outreach to websites that compliment your products/services is important. Focusing on a few sites is more effective than joining every site available. Neglected social media websites can reflect poorly on a small business. Small businesses also have to realize that big brands have the time, resources, and money to run their social media websites as if it was their number one priority. Using the resources available and the time a small business can engage followers in others ways than large businesses do. Social media is not free. Sure it is free to join just about every social media website, but the time and effort put into keeping up with the website comes at a price. 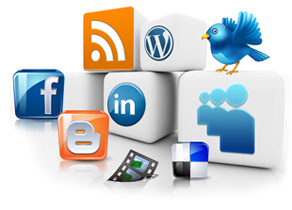 Coming up with a social media plan can save money and allocate social media websites that work for a small business.